This brand new range of dies will make sure that you are ready for this upcoming season. The Autumn Die Collection is made up of 4 die sets totalling in 28 dies. You will be getting one of the four available sets in this bundle which comes with 8 dies. This die set is verso meaning you can either leave the beautiful design in the card or cut it out to add on to another. This die set comes with a collection of beautiful versatile dies perfect for meníë_íë_í«íšs cards, birthdays, Christmas etc. 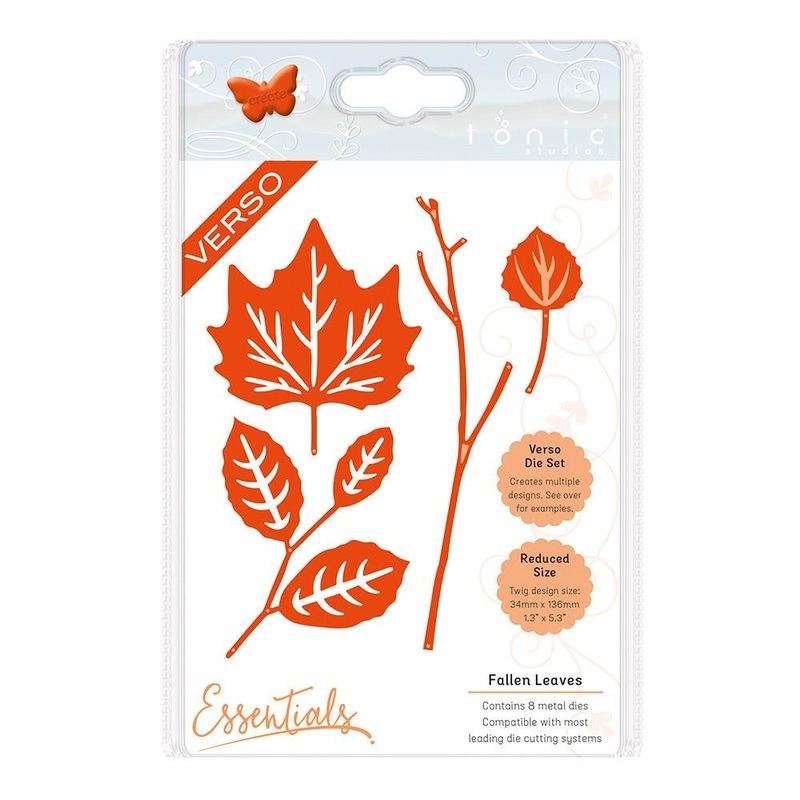 As autumn is the name of this range the die set comes with a selection of leaves, twigs etc.